If the holiday season is stirring your dormant DIY spirit to make cool handmade things, then look no further than your fruit and vegetable drawer in your kitchen. Using cut vegetables and acrylic paint, you can easily transform carrots, apples, potatoes, okra, celery stalks, and more into cool-looking stamps that can then be applied onto greeting cards, wrapping paper, blank canvas tote bags, T-shirts, and other blank surfaces. 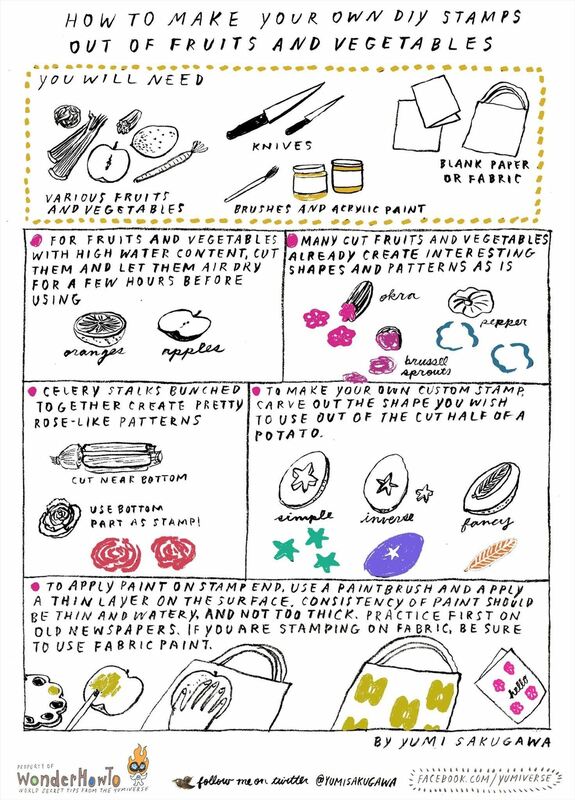 Though you can use a stamp pad to make the fruit and vegetable stamp imprint, using acrylic or tempura paints allows for you to mix different colors and control the thickness of the paint. If you are stamping on fabric, be sure to use craft fabric paints.